On September 9, Apple unveiled its highly anticipated iPhone 6 at the Flint Performing Arts Center on the De Anza College campus. Technically, the company unveiled two versions of its new flagship smartphone, the standard iPhone 6 and the iPhone 6 Plus. So, how do these devices fare against the Samsung Galaxy S5? Apple has been criticized in the past for using such a small display screen on previous versions of the iPhone. The iPhone 5, for instance, featured a 4″ display. 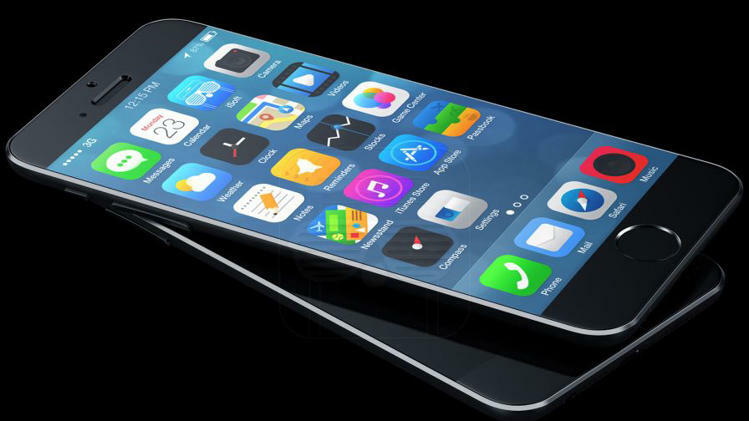 Well, the new iPhone 6 has a slightly larger display at 4.7″ for the standard version and 5.5″ for the Plus. The Galaxy S5 features a 5.1″ screen. Regarding resolution, the Galaxy S5 is the clear winner with its 1920 x 1080 at 432 ppi screen compared to the iPhone 6’s 1334 x 750 at 326ppi. The Galaxy S5 is equipped with a 16-megapixel primary camera, which is capable of taking some truly remarkable photos. The iPhone 6, on the other hand, is equipped with a smaller and less powerful 8-megapixel camera. Granted, Apple included some goodies like f/2.2 aperture lens and image stabilization software, but it ultimately falls short when compared to Samsung’s flagship smartphone. Apple went with a dual-core 64-bit A8 chip processor clocked at 1.3-1.4GHz. For the Galaxy S5, Samsung went with a faster quad-core Snapdragon 801 processor clocked at 2.5GHz. Apple “claims” its new A8 chip is 25% faster and 50% more efficient than the A7 chip used in the iPhone 5. Being that the iPhone 6 has yet to be released, however, we still don’t know whether or not these claims are true. Even if the A8 chip is faster than its predecessor, it’s unlikely that it will trump the Galaxy S5’s Qualcomm Snapdragon 801 chip. So, how much RAM did Apple include in its latest flagship smartphone? 2GB, 3GB, 4GB? Nope… both the standard iPhone 6 and iPhone 6 Plus will feature just 1GB RAM. Apple says the RAM is supposed to be faster, but it’s still disconcerting to see such a small amount of memory in Apple’s flagship smartphone. The Samsung Galaxy S5, on the other hand, has twice as much RAM — 2GB. The greatest difference between the iPhone 6 and the Galaxy S5 is the operating system. As you may already know, the Galaxy S5 is powered by the Android KitKat operating system with Samsung’s TouchWiz skin, whereas the iPhone 6 uses Apple’s iOS 8 operating system. Do you prefer the Apple iPhone 6 or the Samsung Galaxy S5? Let us know in the comments section below!